Gary Neville has admitted that he hasn’t been a fan of Antonio Conte’s persistent complaining at Chelsea FC this term. 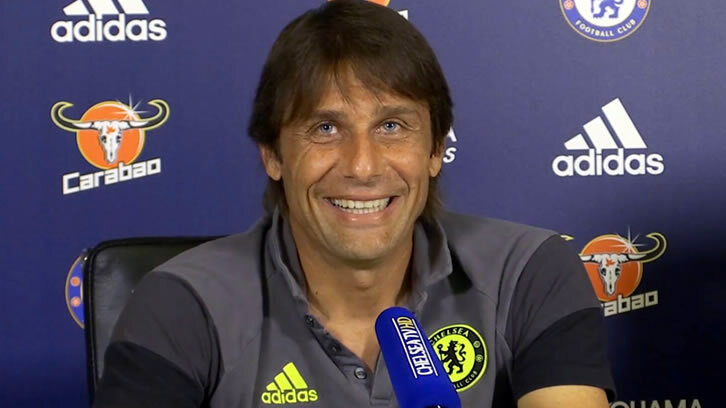 The Italian head coach led the Blues to the Premier League title with two games to spare last term after Chelsea FC finished seven points ahead of Spurs. The defending Premier League champions signed six players in the summer transfer window to improve their squad ahead of a potential title challenge. However, Chelsea FC were unable to keep pace with Pep Guardiola’s irresistible Manchester City side after losing to the Citizens at both The Etihad and Stamford Bridge. The Blues lost 3-1 to bitter rivals Spurs at Stamford Bridge on Sunday evening after Christian Eriksen cancelled out Alvaro Morata’s opening goal before Dele Alli netted twice in the second half. Tottenham have an eight-point cushion over fifth-placed Chelsea FC in the Premier League table as Spurs look to finish in the Champions League spots for the third successive season. Conte is facing speculation surrounding his future at Stamford Bridge, while the former Juventus boss has criticised the Chelsea FC board for a lack of support. Former Manchester United defender Neville isn’t happy with Conte’s relentless complaints about a lack of backing in the transfer market. “I think if he’d gone through this season, finished fifth and things had not quite gone for him, if they’d remained competitive, I would have said that’s not such a problem,” Neville said on his Sky Sports podcast. “But it’s the idea of complaining about the lack of support in the transfer market, saying the players they signed aren’t quite as good as they should be, I don’t like that.